We’re switching home courts heading into game 3 of the conference semifinals in the East with the Indiana Pacers coming to play the Washington Wizards and in the West as the Oklahoma City Thunder travel to play the Los Angeles Clippers. Both series are tied at 1-1. The Clippers can’t seem to get full focus on basketball. Everyone thought the Donald Sterling scandal was over, but now his wife is saying that she wants to remain as an owner, which Doc Rivers immediately replied to. What should be more important is bouncing back from being beaten by 11 points (and it wasn’t that close). Finding ways to get Blake Griffin back into the series, because right now he is being dominated by Serge Ibaka. What can the Clippers do? Attack Russell Westbrook on defense. Screen on him again and again. 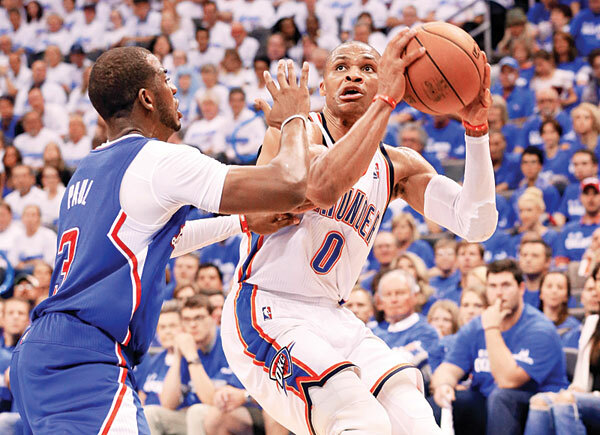 Westbrook gets easily frustrated, and making him work harder on defense usually helps get him out of focus. They aren’t going to slow down Durant’s scoring, and Westbrook will get his to differing efficiency anyway. Trying to work on his psyche and not being drawn into double teams on them will do the Clippers a world of good. 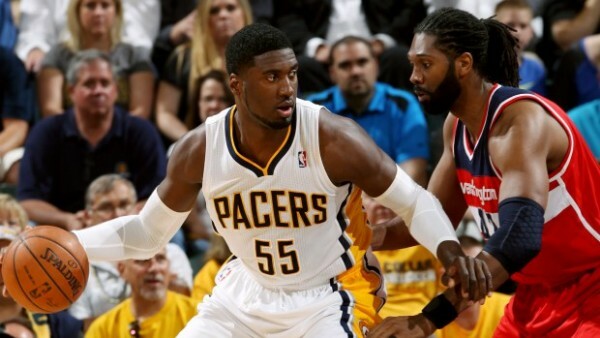 In Washington, the question on everyone’s lips will be whether Roy Hibbert is about consecutive good games or not. He had a huge, All-Star like performance in game 2, and it still was barely enough for the Pacers to get by. The Wizards have the size and depth to handle the Pacers on both ends of the floor. But they do need John Wall to start picking his shots a little bit better, as he has been struggling (32.7%) in this postseason and especially against Indiana. The Pacers will try to do more of the same: More posting up for Hibbert, and moving the ball a little bit better so Paul George and Lance Stephenson can be more productive early on. Unlike the series we see out West, this one will continue to be about slower basketball because of how these teams are built and simply having less talent. Getting Hibbert in early foul trouble if possible is something the Wizards should focus on doing.